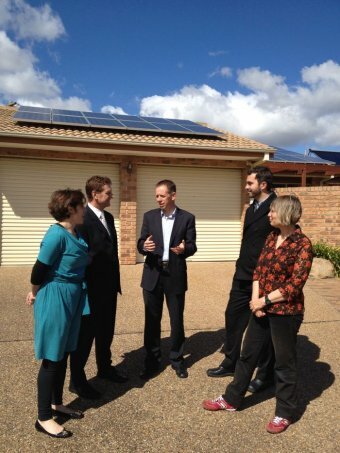 The ACT Greens are flagging a new solar feed-in tariff scheme as part of their election plan for a 40 per cent cut to Canberra's greenhouse gas emissions by 2020. The party shares ACT Labor's target for 90 per cent of the ACT's electricity to come from renewable sources by 2020. "We will have an annual target. Built into that will be a price regression mechanism so that as the uptake increases through the year, if we're getting close to that target point the price will start to come down," [Greens spokesman Shane Rattenbury] said. I say, finally someone has read the tools and mechanisms incorporated in the original Feed-in-Tariff design from Germany, not just the headlines, and at the same time has been able to communicate it all the way through!